Taking pictures of water droplets is challenging. Many blank pictures were taken before I was fortunate enough to capture a frame like this. 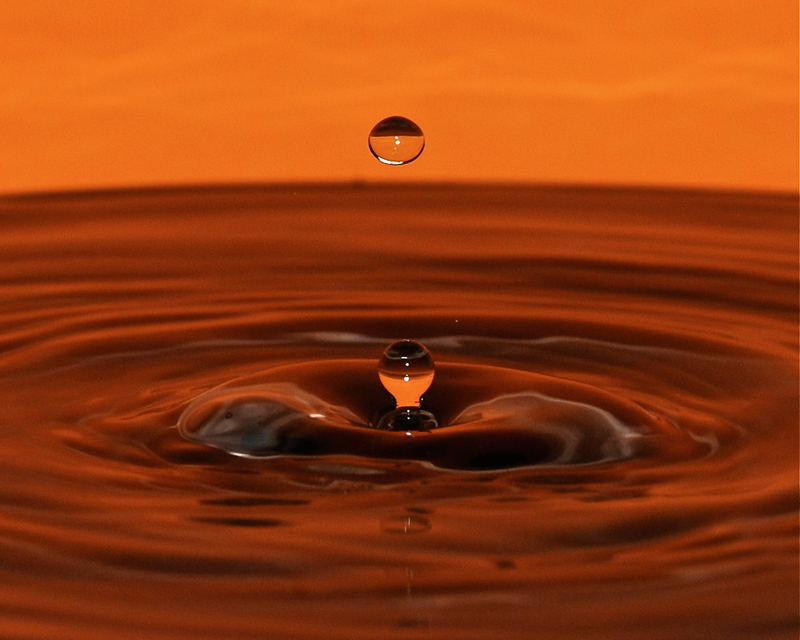 I used an off camera flash with an orange gel to support the background, measured and set my focus, and snapped away as I dropped water.